We apologize how late this announcement is. We are glad to announce the Winners of out KI Birthday Bash. Update: Zingoz Fest will end on July 18. Don't forget to enter the Wacky Zingoz Contest in the Contests thread in the forum! It's that time of year again where wacking Zingoz will get you a shiny trophy. Wacky Zingoz celebration began this morning, July 12, 2010, on American accounts. 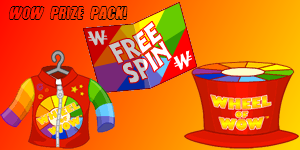 Click on the floating Zingoz to get a new item, the Wacky Wind Spinner. Zingoz Celebration Starting July 12. 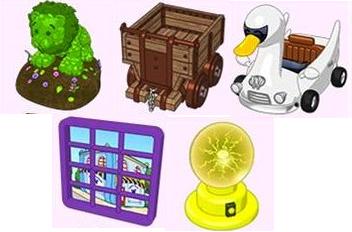 Zingoz Celebration is Starting July 12th in Webkinz World so get those clicking fingers ready! Zingoz Celebration is a time to recognize one of Webkinz Worlds best known characters. KI is Two years old Today. And Were Celebrating! KI is 2 years old Today! We have 6 great contests to celebrate and encourage all of our members to enter! Take a look below. Thanks to everyone who made this site possible and our outstanding members. Winners will be announced July 13th. Well believe it or not KI is turning two years old tomorrow! It just seems like yesterday when KI was a tiny little site trying to find its footing. Throughout the past two years we have seen many changes here on KI. We have had new faces mingling with members that have been here from day one. We have seen the creation of a new site to meet our growing needs and so much more. But possibly the most amazing thing we have seen is the outstanding community that we have here on KinzIsland. The Soccer Challenge has been added to the daily events in Webkinz World. Players must shoot the ball into the goal. Players can win kinzcash and prizes. During the update yesterday morning Ganz added a lot of new eStore Items to the eStore Lineup. They also added the South African Springbok which should be available very soon. Ganz has announced the next Zodiac Pet. The Cancer Crab is Junes Zodiac Pet. Shown above are its PSF: Moon Cake and PSI: Water Sign Waterfall. We are having a Great Little contest involving the site Twitter. Webkinz Newz is hosting a top 10 fictional moms contest. May 7th is the last day to enter so hurry! A new spoiler about Webkinz Day has been posted on Asian accounts. Don't forget to visit and celebrate on April 29th! Today Ganz has added five new exclusives and retired five older ones. Top row from right: Lion Topiary, Mining Cart, Swan Boat Car. Retired Exclusives include the Amethyst Geode, Yangyin Blossom, Circle of Friends Topiary, Red Dragster and the Jellybean Tree. The Kooky Scientist Theme has officially been retired. This retirement will allow more of the new rare themes to be available at the Curio Shop. Arte says this is the first time he has retired a rare theme. It will no longer be available at the Curio Shop or in adoption gift boxes. It is unknown whether this will affect the other items such as the lamp and the pedestal that were CSO items.